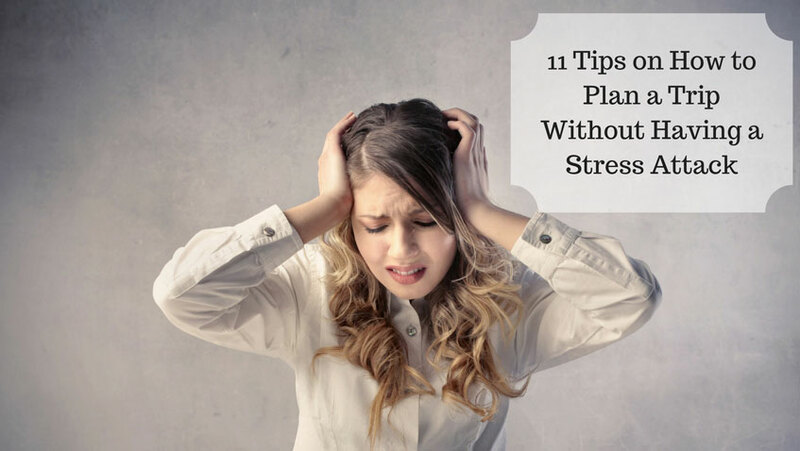 11 Tips on How to Plan a Trip Without Having a Stress Attack - Love With Travel - A Travel and Lifestyle Blog. The hardest part of planning a trip is starting with nothing and staring at a blank sheet of paper. Knowing that you can go anywhere but that you only have a small amount of time in which to see it all. Psychologists tell us that if we have too many options, it can be paralyzing. Yes , We were paralyzed too when we start planning an overseas trip . Write your bucket list – write down the places that you’ve always wanted to see. Put these at the top of your priority list. Like we always wanted to see Paris, and I’ve always wanted to see a bit of Dubai. They’re not too far apart for a one -week trip, so we put those as the “must-go” places on our next trip. Check Visa and Passport Requirements – Before finalizing any location it is always advisable to check visa requirements and many countries have different visa requirement while many have on arrival visa for country you belong to. So check it before finalizing any location. Find nearby friends – One of the things you can do is stop by and see people we know. They can help show us around town, and we get to see the local side of a city. Plus, sometimes we get homey lodging for the night . Plot where any friends or friends of friends are on a map. Review Travel Warnings and Alerts- At the risk of sounding ominous, checking official travel alerts and warnings prior to your trip is incredibly important when traveling internationally. There can be major warnings related to serious issues like political unrest or more common and minor alerts for things like transportation strikes or peaceful demonstrations, so carefully check it once. Decide the Length of Your Trip- decide the length of your trip whether you want to go for one week trip or two day trip as it help you make you identify burden on your pocket well. Estimate your budget : estimate your budget to know which are the locations you can go at particular point of time as it fits your pocket well. Draw a route on a map of a general trek that you could take. Keep in mind you’ll lose a travel day at the beginning and end. This can be a tentative route, but you need it to book tickets. Book flights for the trip. Note: If your trek route forms a circle, you can fly in and out of the same airport. If you’re going in one long line, it’s probably cheaper to book a multi-city or open-jaw ticket. (In one airport and out of another). Book accommodation . This helps calm us down. We mainly want to know that we will have a place to stay when we land and a place to stay near the place where we want to explore. Everything else can be filled in later. Plan your activities well – if you want to enjoy any activity or want to try any adventure out there it is always advisable to plan it well before advanced .